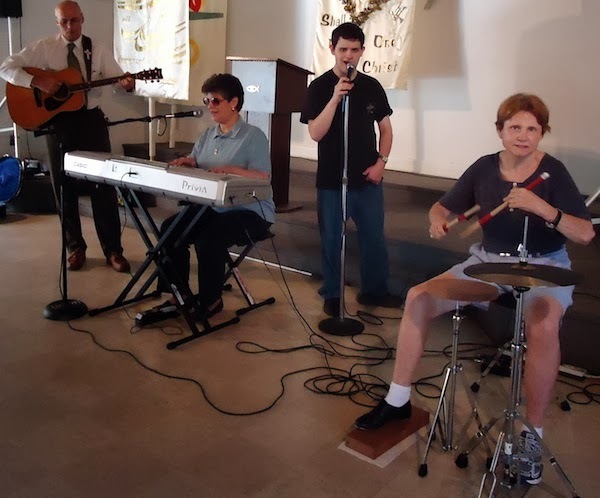 August, 2013 marked the one-year anniversary of the Friends of Bartimaeus Christian Outreach Center for the Blind, hosted by Calvary Lutheran Church, Charleston, SC. This photo was taken at the center’s very first meeting in 2012, as I accompanied Taylor Jones Stebbins, an amazing Lowcountry blind youth with a beautiful tenor voice. Pastor Ed of Calvary Lutheran couldn’t help but join in the praise with his guitar, and our friend and sighted volunteer Kevan-Ann Spangler brought her hand-clapping, toe-tapping percussion to this impromptu music ensemble. Congratulations to the people of Calvary Lutheran for all of their efforts which have made the Friends of Bartimaeus Christian Outreach such a tremendous success and such a blessing to the community. I was honored to be asked along with many from the Lowcountry’s blindness community, to assist in the beginning of this center. 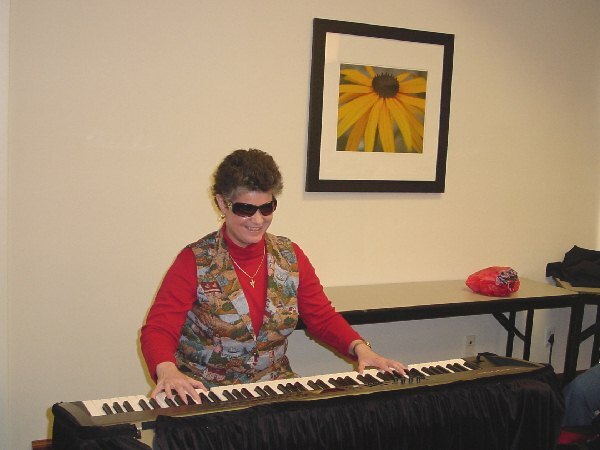 In cooperation with Lutheran Braille Workers, the organization responsible for 60-plus outreach centers of this kind across the United States, and Dixie Land Guide Dog Users, Inc., every blind individual attending the Friends of Bartimaeus has also received a talking Bible of his/her very own. God’s Light keeps shining! Thank God and thank you for the ongoing prayers and support which make outreach efforts like this possible. Stay tuned for more posts like this one. Until next time, God bless you and keep His Song in your heart!